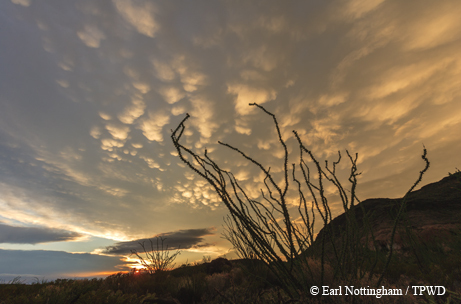 ﻿﻿﻿﻿﻿﻿﻿Plants, animals and skies give clues to impending storms. When I was a child on the island of Puerto Rico, I loved running through a field of moriviví plants (meaning “it died, then lived again”) and turning around to watch my trail come alive as the mass of plants closed their leaflets in my wake. Every afternoon, as a daily thunderstorm rolled in, these same plants would tightly close their leaflets as falling raindrops struck them. An entire field would appear to writhe, then die, only to come back to life after the storm passed. I discovered that many other plants, including morning glory, chickweed, dandelions, wild indigo, clovers and tulips, close their petals in response to environmental conditions. These plants are prompted to close their petals before nightfall or a rainstorm as a defense mechanism to protect their pollen against moisture. This makes them a reliable indicator of impending wet weather. Changes in barometric pressure will also cause the leaves of trees to “flip,” so that you see their underside. Another reliable indicator of atmospheric moisture is the pine cone. Stiff and hardened when dry, the scales separate and protrude outward. In moist weather, however, the scales of the pine cone will soften and lay together smoothly. Increasing moisture in the air often leads to rain. Plants are not the only indicators of weather changes. By becoming more in tune with nature, you can grow increasingly adept at predicting the weather through time-tested indicators. These clues are all around you. Sight: Watch wildlife for telltale changes in behavior. Hours before a storm arrives, birds and mammals can be observed busily gathering food and fortifications for their homes. Horses may run in an agitated state with their tails held high. Just before the arrival of a storm, behavior changes again. Birds will fly lower, flock together and gather on tree branches or telephone wires. Squirrels and other small animals will disappear altogether. Cows will herd together and lie down in the fields. Horses will gather together and turn their backs to a mounting wind. Bees and butterflies will mysteriously disappear from the garden while ants will either build up bigger mounds or cover their holes completely. Spider webs will suddenly lie vacant. And, as any fisherman can tell you, fish will be biting voraciously, sometimes leaping out of the water. Sound: Even silence is an indicator. Chirping crickets, singing birds and even barking dogs will abandon their usual chatter to seek shelter from an impending storm. However, if you are near a pond that is normally graced with the sounds of gently croaking frogs, you may notice the opposite phenomenon. Frogs’ calls will often become louder and more intense as a storm approaches. Scent: Have you ever “smelled” rain? What you smell is ozone, a form of oxygen that has been transformed by electrical energy in storm clouds. In a similar manner, far-reaching atmospheric changes caused by a hurricane can also change the way the air smells, sometimes days in advance of the storm. Days before hurricanes Rita and Ike struck, the distinct aroma of sea air penetrated the usual Pineywoods and Big Thicket air. The air “smelled like the beach” several days before the hurricane arrived. Increasing moisture in the air enhances earthy scents and keeps them close to the ground, indicating that a storm may be coming. During a recent hike in the Davis Mountains, I kept commenting on how aromatic the flowers were. Their fragrance, which should have evaporated quickly in the warm sun and thin, high-altitude air, was intense and remained at nose level. I knew what this meant and expeditiously led my group to the bottom of the mountain just moments before a black storm cloud appeared at the top of the mountain. Sky: Look up to the sky, where you can find indicators of weather changes, sometimes up to two days in advance. 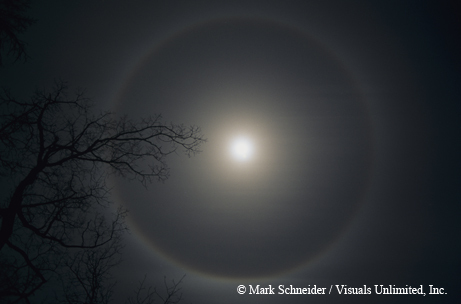 For example, a ring around the moon is caused by cirrostratus clouds that come with moisture and warmer temperatures. Expect rain within 72 hours. 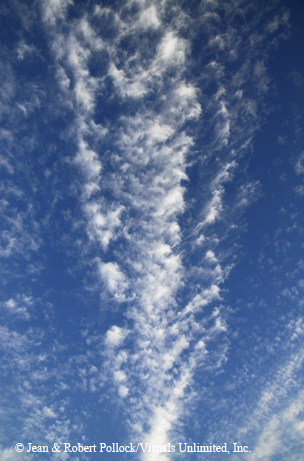 “Mare’s tails” are cirrus clouds that sit high in the sky. 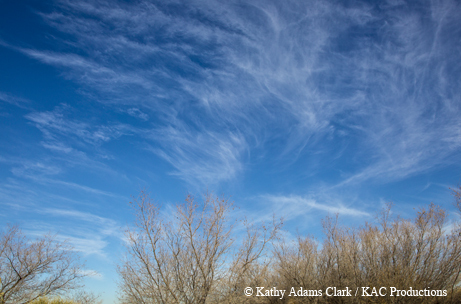 These long, wispy bands often foretell rain up to 36 hours in advance. Mackerel skies (altocumulusclouds) can be banded or rounded. They usually precede cold fronts and, when present in the morning, often indicate rain coming in the afternoon. Mammatus clouds are so named because they look like mammaries hanging in the sky. They are formed by wet, heavy, sinking air and can indicate severe thunderstorms or sometimes even tornadic activity. If the moon is pale or reddish, fair weather is coming, indicated by the dust and dry air associated with a high-pressure system. The same is true about a reddish sky at sunset. 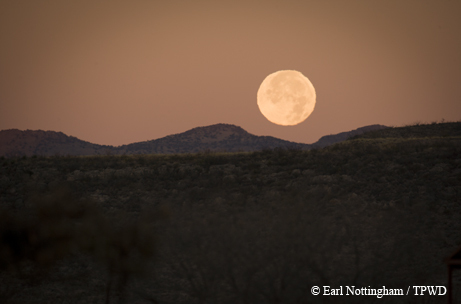 To the contrary, a bright moon may indicate that a low-pressure system has cleared out the dust and rain could be headed your way.